Is the drama on Family Food Fight the talk of the office today? Manoeuvre the chat to something less dull with this. AirAsia X celebrates new route to Jaipur, the “Pink City” in India via Kuala Lumpur! International carrier Malindo Air, CAPA 2016 Asia Pacific Regional Airline of the Year, is the latest airline taking strides to digitally transform its cockpit with SITAONAIR. The partnership will see Malindo Air benefit from SITAONAIR’s position as a leading pilot and flight operations digital transformation specialist and solution integrator, helping enable digitized cockpit operations. Pilots across Malindo Air’s full fleet of 737s will be equipped with SITAONAIR’s complete Electronic Flight Bag (EFB) solution by the end of 2017, replacing their existing paper-based processes. The addition of the EFB solution will compliment the AIRCOM® FlightPlanner and Datalink Services already equipped across the Malindo Air fleet. SITAONAIR’s bespoke EFB solution for the airline’s full fleet of 32 aircraft, involves activating the leading iPad-based Aviobook EFB within SITAONAIR’s secure ATI Cloud-hosted ground server, automatically distributing operational data to the pilots’ tablet. To date, all 32 aircraft cockpits are on track to activate the new EFB solution by year end, a timely delivery that will smoothly introduce new ways of working for pilots, particularly in their interactions with dispatchers. Hong Kong Airlines today announced that it would operate a three-time weekly service to the Maldives from 16 January 2018. 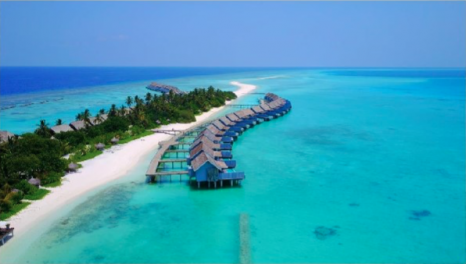 Located in the majestic Indian Ocean, the Maldives is comprised of a series of islands renowned for their natural beauty. As a popular holiday hotspot, the islands that make up this exotic travel destination are blessed with white sandy beaches, and are surrounded by crystal clear water – home to a spectacular array of underwater life. The perfect holiday begins even before passengers touch down at Male, the capital of the Maldives. Hong Kong Airlines will operate its Airbus A330-300 aircraft, which features a two-class configuration, including 32 full-flat seats in Business Class and 260 seats in Economy Class. Combined with an immersive range of inflight entertainment content, and sumptuous gourmet meals in the air, Hong Kong Airlines is looking to deliver an unforgettable flight experience to all. Flights will depart from Hong Kong to Male International Airport every Tuesday, Thursday and Sunday. Each traveller will receive a 30-day visa on arrival. Qantas and oneworld partner Sri Lankan Airlines are extending their codeshare arrangement. The airlines have added six new destinations to the existing five destinations under the relationship, providing customers with more options to travel between Australia and Sri Lanka. For sale from today, 20 November 2017, for travel from 18 December 2017, Qantas will add its code to Sri Lankan Airlines’ triple daily flights between Colombo and Bangkok, subject to government and regulatory approvals. Qantas will also add its code to Sri Lankan Airlines’ five weekly flights between Colombo and Hong Kong. These additional codeshare destinations will give customers the ability to fly on Qantas code between Australia and Colombo via Singapore, Bangkok or Hong Kong. At the same time Sri Lankan Airlines will add their code to Qantas services to and from Melbourne and Sydney, Brisbane, Adelaide and Auckland. Eligible customers of both airlines will have access to each other’s lounges, as well as the oneworld lounges, and priority check-in and boarding in these new codeshare destinations. Emirates SkyCargo has signed a Memorandum of Understanding with Mohammed Bin Rashid Space Centre (MBRSC) to become the preferred logistics partner for the Dubai based space science and advanced technology research and development centre. The MoU was signed in the presence of His Highness Sheikh Ahmed bin Saeed Al Maktoum, Chairman and Chief Executive of Emirates Airline and Group, by Nabil Sultan, Emirates Divisional Senior Vice President, Cargo and by Salem Al Marri, Assistant Director General for Scientific and Technical Affairs, Mohammed Bin Rashid Space Centre during the Dubai Airshow. Under the MoU, Emirates SkyCargo will be MBRSC’s preferred partner to provide air transport services for satellites and related equipment relating to the organisation’s space projects. Under the terms of the agreement, Emirates SkyCargo will work with MBRSC to develop bespoke and innovative air transport solutions that have wider applications in the space science and technology industry. Hawaiian Airlines today welcomed to Honolulu the first of 18 Airbus A321neo aircraft that will shortly begin flying between Hawai‘i and the U.S. West Coast. The company’s new fleet of single-aisle aircraft will offer guests non-stop flights to more islands, starting with service to Kaua‘i, Maui, and the Kona Coast on the Island of Hawai‘i. Hawaiian held a blessing ceremony today for its first A321neo, “Maile,” named after a vine native to Hawaii and traditionally used for lei making and celebrations. 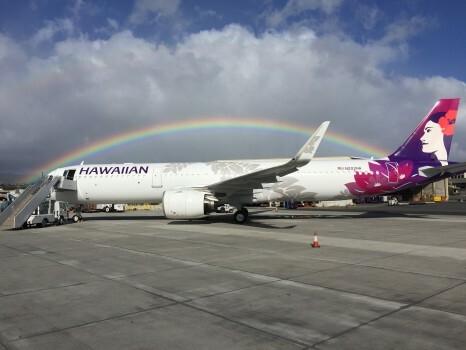 Fittingly, Hawaiian’s A321neo is adorned with a new livery featuring a silver maile lei wrapping around the fuselage as the carrier’s “Flower of the Sky” Pualani. Hawaiian’s inaugural A321neo flight is scheduled for Jan. 8 on the carrier’s existing Kahului-Oakland route. New A321neo service between Kahului and Portland will launch on Jan. 18. Hawaiian’s seasonal summer wide-body service currently offered between Līhu‘e and Oakland will resume April 11 as a daily A321neo flight. Daily service between Kona and Los Angeles launches March 11 with wide-body aircraft before converting to the A321neo in the summer. Samoa Airways lands in Australia! The inaugural flight of Samoa’s new national carrier, Samoa Airways landed last night at Sydney International. Samoa Airways flight OL855 landed with dignitaries and passengers including the Minister for Samoa Airways, Hon. Lautafi Fio Selafi Purcell and Samoa Airways CEO Mr Seiuli Alvin Tuala. Samoa Airways will be flying with a Boeing 737-800, twice a week Sydney/Apia/Sydney. Flight OL856 will depart Sydney on Thursdays and Saturdays at 2140hrs, arriving into Apia at 0615 (the next day). The return flights (OL855) will depart Apia on Thursdays and Saturdays at 1705hrs, arriving Sydney at 2040hrs. Samoa Airways had its first flight from Apia to Auckland on Tuesday, 14th of November. They will service the New Zealand market with 6 flights per week Auckland to Apia return. This technology uses lasers to bind together powdered plastic into the required shape defined by a 3D model and is different from the Fusion Deposition Modelling (FDM) technique normally used for printing aircraft 3D parts. 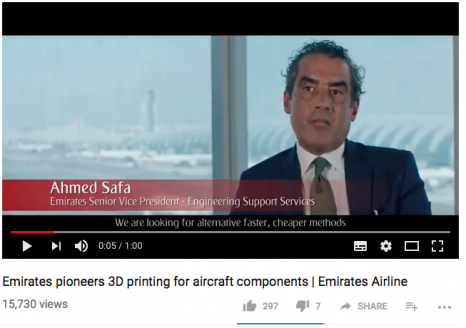 The material used to print Emirates’ Video Monitor Shrouds is a new thermoplastic developed by 3D Systems – Duraform® ProX® FR1200 – with excellent flammability resistance properties and surface quality suitable for commercial aerospace business applications. Famed for its natural beauty and its reputation as a top honeymoon destination, tourism in the Maldives has grown rapidly over the years to become the country’s largest economic contributor. As a result, Velana International Airport (previously known as Male International Airport) is now serving 2.6 million passengers and over 35 scheduled and chartered carriers annually. Anticipating an increase in the number of travellers, and to future-proof their business, Velana, the main international airport in the Maldives, has now successfully deployed Amadeus’ airport management solutions. Through this partnership, Velana has recently deployed Amadeus Airport Operational Database (AODB), to host, manage, and disseminate complex flight-related information. Amadeus AODB provides complete visibility of flight schedules up to 365 days ahead to accurately forecast passenger and baggage demand. Velana has also implemented Amadeus Airport Fixed Resource Management Solution (RMS), which allows the airport to determine the best resource allocation against its flight schedule. Travellers to South Australia’s spectacular outback can now enjoy ‘door to door’ flight services landing directly into Wilpena Pound Resort from Adelaide via Port Augusta, with the launch of a new partnership by the Resort with Regional Express (Rex) Airlines and Wrights Air. Rex flights depart Monday, Tuesday and Thursday from Adelaide for a 55-minute flight to Port Augusta. 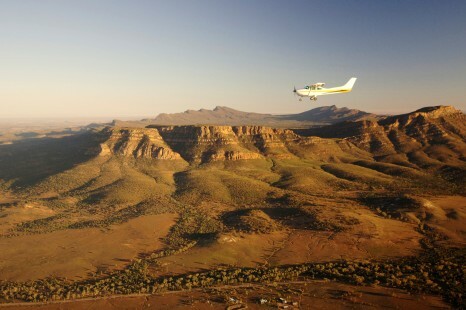 Guests will then transfer on to a Wrights Air charter flight for a scenic 45-minute journey over the iconic 17km long Wilpena Pound, before landing at the Resort’s airfield. To celebrate the new flight connections, WIlpena Pound Resort is offering a launch special including flights plus bed & breakfast with rates starting from $998* per night. The offer is valid for booking and travel until 30 June 2018. Wilpena Pound Resort offers traditional hotel rooms accommodating from two to six people; or a stylish ‘glamping’ option at Ikara Safari Camp offering 15 en-suite safari tents set amongst spectacular river red gums and native pines and adjacent to the Pound. Cathay Pacific Airways today released combined Cathay Pacific and Cathay Dragon traffic figures for October 2017 that show an increase in both the number of passengers carried and cargo and mail uplifted compared to the same month in 2016. Cathay Pacific and Cathay Dragon carried a total of 2,924,762 passengers last month – an increase of 6.0 per cent compared to October 2016. The passenger load factor dropped 0.2 percentage points to 81.3 per cent, while capacity, measured in available seat kilometres (ASKs), increased by 4.6 per cent. In the first ten months of 2017, the number of passenger carried increased by 0.7 per cent while capacity rose by 2.3 per cent. The two airlines carried 180,706 tonnes of cargo and mail last month, an increase of 4.8 per cent compared to the same month last year. The cargo and mail load factor rose by 1.2 percentage points to 69.3 per cent. Capacity, measured in available cargo/mail tonne kilometres, was up by 2.4 per cent while cargo and mail revenue tonne kilometres (RTKs) increased by 4.2 per cent. In the first ten months of 2017, the tonnage rose by 10.8 per cent against a 3.1 per cent increase in capacity and an 8.7 per cent increase in RTKs. South African Airways Retail, Wholesale IT and Corporate airfare levels are set to increase – starting from December 1 2017. All existing un-ticketed bookings must be issue on or before November 30 2017 to avoid any increase in prices. All new Economy Class and Business Class airfare levels ex. Australia to Africa will be updated in the GDS on December 1 2017. British Airways has today announced that since 2010 it has raised AU$29.7 million (£17 million) for Flying Start, its global charity partnership with Comic Relief. Flying Start creates lasting change by giving children and young people a brighter future, whether that is making sure they are protected from violence, helping them access quality education, or providing opportunities to break free from the grip of poverty of living on the streets. 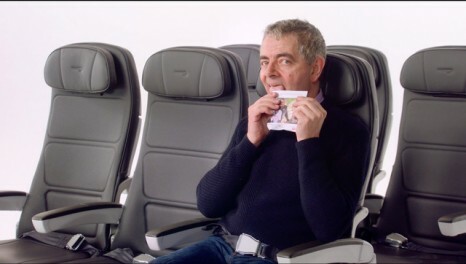 Celebrities including Rowan Atkinson, Sir Ian McKellen, Rob Brydon and Thandie Newton have all done their bit to help fundraising efforts by participating in British Airways’ latest safety video and encouraging customers to donate their spare change to Flying Start. The video, which can be viewed here, launched in September and has already achieved 7.8 million views on YouTube alone. In the weeks following the video launch, there was a 20 per cent increase in donations on board and the airline hopes that the video will help the partnership to exceed the goal of raising AU$34.9 million (£20 million) by 2020. British Airways’ contribution of AU$29.7 million (£17 million) has helped over half a million children and young people who lead tough lives both here in the UK and in some of the world’s poorest communities. South African Airways has commemorated the 60th anniversary of its first flight into Perth, Western Australia, holding an industry event in Perth last night to mark the occasion. According to SAA’s Country Manager for Australasia, Tim Clyde-Smith, the first scheduled flight of the airline from Johannesburg’s Jan Smuts Airport to Perth took place on November 25, 1957. SAA’s initial services used a 65-seat Douglas DC-7B aircraft with flights operating every fortnight. The flight took more than 21 hours in the air, excluding stops, making it a very long journey indeed. SAA was the first foreign airline to fly into Perth and over the last 60 years we have seen huge advances in air travel and in the history of our two countries. Today SAA is the only airline offering daily direct flights between Perth and Johannesburg. 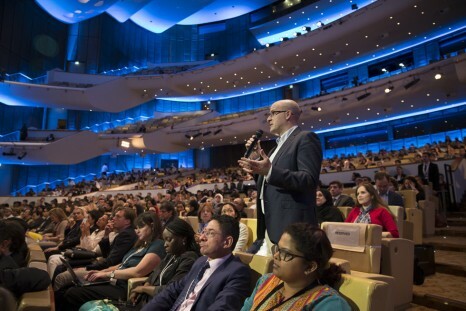 Qatar Airways has partnered with the World Innovation Summit for Education (WISE) as the Official Carrier of the high-profile two-day global conference. WISE has invited some of the world’s greatest leaders in the fields of education, technology and media to Doha to facilitate discussions about the future of education, taking place from 14 November until 16 November. Established by Qatar Foundation under the leadership of its Chairperson, Her Highness Sheikha Moza bint Nasser, in 2009, the highly-anticipated bi-annual conference will host 2,000 top education experts from 100 different countries around the world during the next two days at the Qatar National Convention Centre (QNCC). The campaign, seen by more than 8 million people on social media, cites independently-gathered data that clearly demonstrates the airline’s robust $91.8 billion investment in the American economy through its 332 American-made aircraft. The award-winning airline also directly supports 123,000 American jobs and flies 3.1 million visitors to the US annually – visitors who helped pump an extra $4 billion into the US economy in 2016 alone. 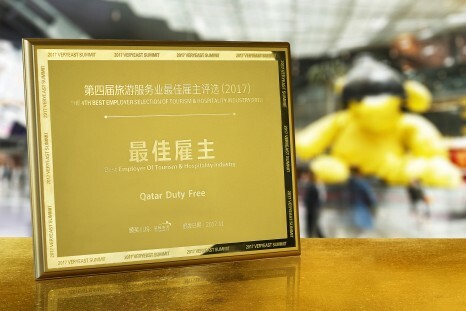 Qatar Duty Free (QDF) is pleased to announce that it has won the ‘Best Employer in the Tourism and Hospitality Industry’ award at the 2017 VeryEast Summit held in Hangzhou, China on 3 November 2017. With more than 300 multinational companies participating, QDF was acknowledged for its employment diversity, career growth opportunities, competitive employee benefits and professional development of its staff through its Learning Academy. The award mechanism involved several parameters, including scoring from public voting on WeChat as well as Human Resources practices including number of employees, turnover rate, management to non-management ratio, diversity, gender distribution, career growth opportunities and more. 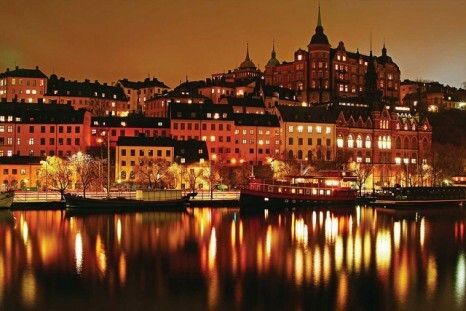 Qatar Airways has announced that it will increase daily frequencies to the Scandinavian capitals of Stockholm and Oslo, alongside the Italian cities of Milan and Rome. The award-winning airline has also announced that double daily flights to the Russian capital Moscow will increase to three times daily from 14 December, just five days before Qatar Airways’ inaugural daily flight to the Russian city of St. Petersburg. The additional frequency to Moscow will be operated by an Airbus A320 aircraft.